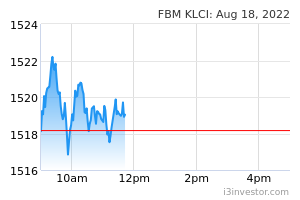 1H19 CNP of RM3.1m missed our forecast at 14% and consensus at 13% due to the trade war and WLTP. YoY, 1H19 CNP tumbled 86% on lower demand for burn-in and testing revenue, higher raw material costs and ETR. QoQ, despite flat revenue, 2Q19 CNP plunged 82% on higher raw material costs, and higher ETR as well. No dividend, as expected. Trim FY19-20E CNPs by 6-5% to RM21.6-32.4m. Downgrade to UNDERPERFORM with a lower TP of RM7.60. Markedly below expectations. 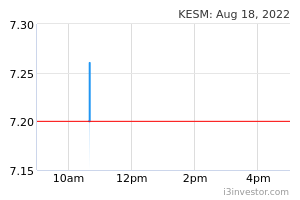 KESM Industries (KESM)’s 1H19 CNP of RM3.1m (-86% YoY) came in markedly below our forecast at 14% and consensus estimate at 13%. We attribute the earnings miss to the Chinese imposition of tariffs on US vehicles and the introduction of the Worldwide Harmonised Light Vehicle Test Procedure (WLTP) emission regulation, both of which affected vehicle sales in the regions during the quarter. No dividend was announced during the quarter, as expected. YoY, 1H19 revenue dropped 11% due to slower demand for its burn-in and testing services. We believe this could be a negative spillover from the US-China trade war and WLTP as noted, causing the utilization rate to fall below 50% as the group’s customers instituted tighter inventory control measures. While EBITDA declined 33% on higher raw material costs (+33%), operating profit dropped by a larger quantum of 82%, suggesting the ineffective charge-out of overhead cost on weaker topline. Coupled with a higher effective tax rate (ETR) of 43% (vs. 15% in 1H18), CNP tumbled 86%. QoQ, despite flat 2Q19 revenue, CNP plummeted 82% to RM0.5m due to higher material costs (+42%) and a higher ETR of 71% (vs. 30% in 1Q19). The increase in raw material purchases coincided with the provision of electronics manufacturing services (EMS) to the group’s new customers. Prospect to recover in 2H19. Though earnings shortfall was observed in 1H19, we believe sales would pick up in 2H19 once the adverse effect of WLTP and trade war subsides. Meanwhile, our check with management suggests that the slowdown is likely transitory as the longterm positive outlook of the business remains intact, especially vis-à-vis rising semiconductor content in automobiles. Note that the group is still in an investment phase with customers, though at a slower pace in FY19 (with capex of RM30-50m vs. a normal threshold of RM80m). Beyond that, capex should normalise as the group is on the verge of shifting to “smart factories”, which spell better operational efficiency going forward due to automation. Trim FY19-20E CNPs by 6-5% to RM21.6-32.4m after lowering our EBIT margin assumptions from 8.0-10.0% to 7.5-9.5%. Downgrade to UNDERPERFORM with a lower TP of RM7.60 (from RM8.00), based on an unchanged FY19E PER of 15.0x, in line with the Malaysian OSAT’s current 2-year Fwd. PER. Despite a potential recovery in 2H19, we believe trade war uncertainties will continue to cloud the group’s near-term earnings visibility, and valuation of the stock is currently expensive at FY19E PER of 18.8x. Risks to our call include: (i) earlier-than-expected recovery in vehicle sales and (ii) faster-than-expected adoption of new semiconductor modules in automobiles.